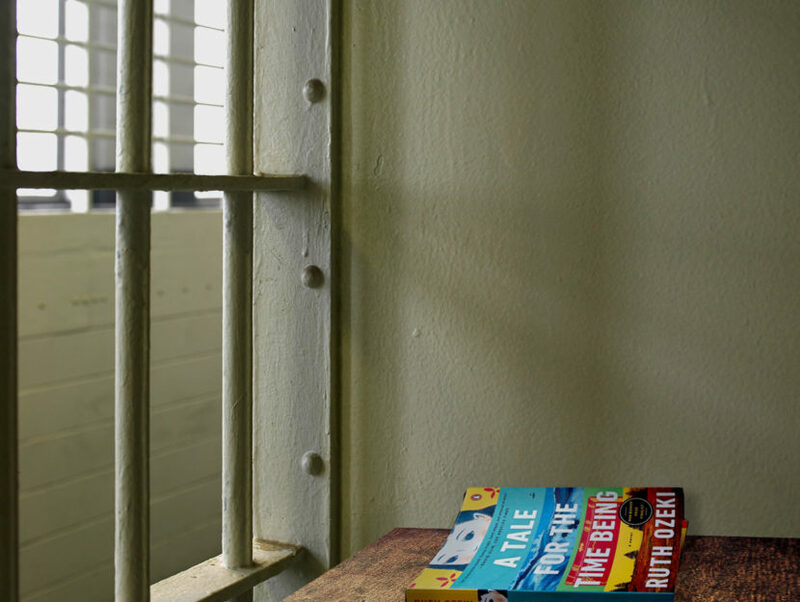 The author of The Lost Chapters reflects on the book that rewired her thoughts during a jail sentence. On March 16, 2014, I turned myself into Los Angeles County Jail to begin my 90-day sentence for the misdemeanor offenses I committed during my relapse into drug and alcohol addiction. Lynwood, as the women’s jail in Los Angeles is called, was a cold, stark place, run by militant sheriff’s deputies who have mastered the art of treating grown women like children, and for whom a disparaging epithet is commonplace. We were locked down 23 hours a day (though sometimes it would be 48 hours in a row, just because) in 8 by 10 cells with another inmate. The brutality and inhumanity were mind-blowing. But worse, the boredom ate away at me. Time didn’t move. Every minute in jail time was equivalent to an hour of freedom time. The one saving grace was that inmates were allowed three books a week to be sent directly from the publisher or Amazon. My beloved husband and friends were generous with their gifts of literature, and sometimes an extra book would pass by the guards unnoticed. They might have mastered the art of cruelty, but on the whole, they weren’t a very smart lot. Of the 37 days I served (in California you serve half your time, plus any days off for time previously served), I received 23 books. There were also books left behind by other inmates, and many of these were fabulous. I devoured them, reading about a book a day, sometimes more. In some ways, now that the experience is four years behind me, a small part of me envies the woman who had that much time to luxuriate in reading. When the books arrived, the sweetness of holding them in my hands was indescribable. With each book I would smell the pages, gaze lovingly at the cover, and read the back copy over and over again before I’d even crack it open to read. The books were like life vests keeping me afloat when I was weighed down by depression and shame. Every book offered me some grain of insight. All the Light We Cannot See by Anthony Doerr was like a balm to my soul, its language an adagio of love. I Know Why the Caged Bird Sings by Maya Angelou, in conjunction with the eye-opening experience of seeing firsthand the disproportionate number of women of color inside, exploded my brain wide open. Everything I thought I knew as a liberal woman of conscience seemed piecemeal and paltry compared to what I learned from witnessing a racist criminal system and reading Angelou’s gorgeous, painful book. I also had a blast re-reading Marquez’ One Hundred Years of Solitude, a book that spoke to me about the illusions of time and the experience of warped time that my addiction and my jail sentence produced. But among all of these blessings in words, chief among them was Ruth Ozeki’s novel A Tale for the Time Being, a beautiful meditation on the Buddhist principles of suffering and the end of suffering. The narrative of love and isolation, loneliness and connection, gave me breath. I saw that I was being handed instructions for how to work with pain. Impermanence, change, time: these were the concepts I grasped for and held onto in Ozeki’s work. In one extraordinary passage about shame and what it means to be a person of conscience, I was utterly changed. The moment I read this section, I understood what Ozeki meant by shame being something that comes from the outside. Shame is not a thing we’re born with. It isn’t an organ like a heart or a liver; it’s handed to us from the world. I realized that shame had no evolutionary function. It simply wanted me dead. 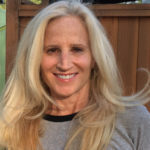 It is axiomatic that incarceration manufactures bitterness and shame, especially for low-level offender addicts in need of treatment, not punishment. As I learned from Ozeki, these feelings stand in the way of humility, acceptance, and transformation. Change is only possible through self-forgiveness. What matters, Ozeki seemed to be saying, is whether you have a conscience. And when I sat down and pondered that on my metal bed, with the two-inch plastic mattress beneath me, I knew right then that in spite of what I had done, I indeed was driven by goodness, by fairness, and by conscience. I was not a bad person. I was an addict, with a sickness that caused me to act outside the purview of right and wrong. Once my disease was silenced in recovery, my real self—the one of worthiness and generosity—re-emerged. After reading A Tale for the Time Being, I abandoned my shame to the jail cell, and on the day of my release, I left it there and began writing my memoir, The Lost Chapters. To this day, I credit Ozeki’s book for changing my life, for allowing me to walk away from sorrow and self-pity, and for reminding me that I am brave and good and a trustworthy, principled person—not the measure of my addiction and its consequences.